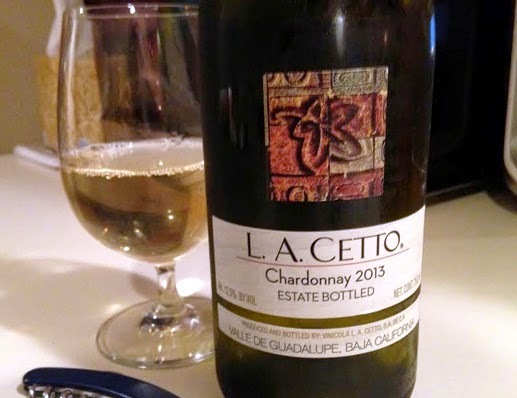 This is the 2013 Chardonnay from L.A. Cetto. Estate bottled in Valle de Guadalupe (Guadalupe Valley) in the state of Baja California, Mexico. The ABV is 12.5%. It's not that I don't like Chardonnay. I adore Chardonnay. It's that Chardonnay is the wine that gets me in trouble the most. It usually starts with me being a bit too truthful about how I feel about things to those around me, and then ends with posting some rambling bull about politics or religion on my personal Facebook account. Every single time I bring home a Chardonnay I know full damn well in some way that I am going to regret it. I guess, for whatever reason, it's just the wine that makes me act ridiculously drunk ridiculously fast. So I try and resist it as much as I can. But it's just too darn good to stay away from it for too long! LET'S DRINK ONE RIGHT NOW! YEEEEAAAAAH!!!! The color of the wine is a super light straw-yellow. Just by judging its appearance it's pretty clear that there hasn't been any oak aging at all. The first image that came to my mind when first smelling this wine was a giant bowl of pineapple chunks mixed with Werther's Original caramel candies. Then a few sniffs later it was sprinkled with a few slices of pear and peddles of dandelion. I mean, I don't really think anybody could come up with a more accurate description. That's really what it smells like. The palate has apple and orange and guava, which is kind of what you would expect out of an unoaked Chardonnay... but it's not tart at all. Malolactic fermentation says hi and gives its regards to your mother. The mouth feel is smooth, milky and round and there's this movie-theater popcorn butter flavor that appears in the mid-palate and gets really pronounced on the finish. Diacetyl wants a kiss. There's nothing I can't stand more than an unoaked Chardonnay that might as well be a Sauvignon Blanc. Alright, that's not true. Spellcheck not even realizing that spellcheck is now a word is annoying. And when somebody is in a hurry to cut you off and then proceeds to go half the speed that you were initially going really aggravates me. And don't even mention those jerkoffs that bombed the Boston Marathon. But I digress. 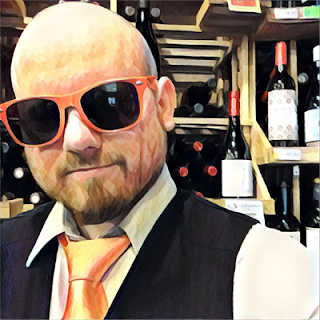 To put it bluntly... Chardonnay can handle oak and malo while Sauvignon Blanc honestly can't. So unless it's Chablis, which has its own thing going on, I don't get the point of making an unoaked Chardonnay unless it's still got that muskiness or full bodied roundness. Sorry, that's just the way I feel about it and you know I'm right. With this one the Chardonnay musk isn't there but the other aromas and flavors are varietally correct. The body weight and mouthfeel are also satisfactory. This isn't a Sauvignon Blanc doppelganger capitalizing on the Chardonnay name. But it's also not stunning. It's a crowd pleaser as well as likeable enough for the wine educated to enjoy. You might think "well whoopty do" when I tell you that this is exactly what I expect out of a $10 Chardonnay. But the key word there is expect. Merlot and Chenin Blanc are slaying palates right now for $10 a 750 ml bottle. So why can't the most popular wine varietal in the world do it too? Most $10 Chardonnays are garbage. The oak and malo usually feel fake and that's not right. That should be reserved for the $10 magnum (1.5 liter) wines. We should expect better from Chardonnay and here is a perfect example that it can be done. From Mexico, no less.